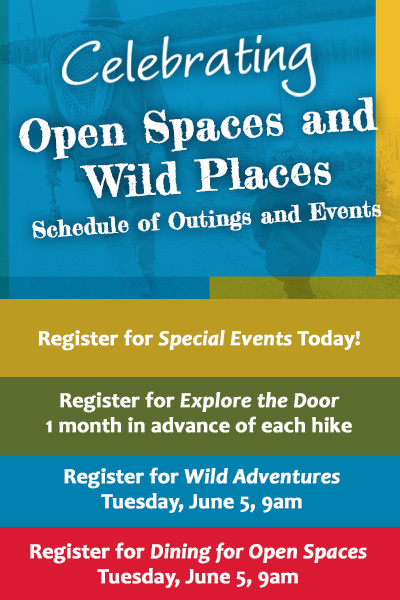 We invite you to celebrate Door County’s beautiful open spaces! In our 2018 schedule of outings and events, you’ll find many ways to connect with the land and the people who make Door County such a special place to live and visit. From forest mindfulness immersion to discovering the aquatic wonders seen only under a magnifying lens, to the dark skies full of sparkling mystery, we have a season of events that will leave you in awe of nature! Registration begins online at 9:00 am, Tuesday, June 5!